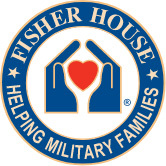 The Hines Fisher House is a “home away from home” providing a no cost option for family members, care givers, or loved ones of patients currently admitted to the Edward Hines, Jr. Veterans Administration Hospital in Hines, IL. The Hines Fisher House has 20 bedroom suites available on a first come, first served opportunity, and operates through generous donations provided to the facility. Over the past two years, the Chicago Wolf Pack Booster Club has helped raise money to purchase much needed items for the guests of the Hines Fisher House. Items include paper towels, toilet paper, coffee cups, coffee, gift cards, and also personal toiletries for each room/guest. The Chicago Wolf Pack continues to collect for Hines Fisher House. The Chicago Wolf Pack Booster Club is proud to once again partner with the Chicago Wolves Charities. The Chicago Wolf Pack has helped raise money for Chicago Wolves Charities for their Breast Cancer Awareness drive benefiting A Silver Lining Foundation and their Movember campaign for Prostate cancer awareness.